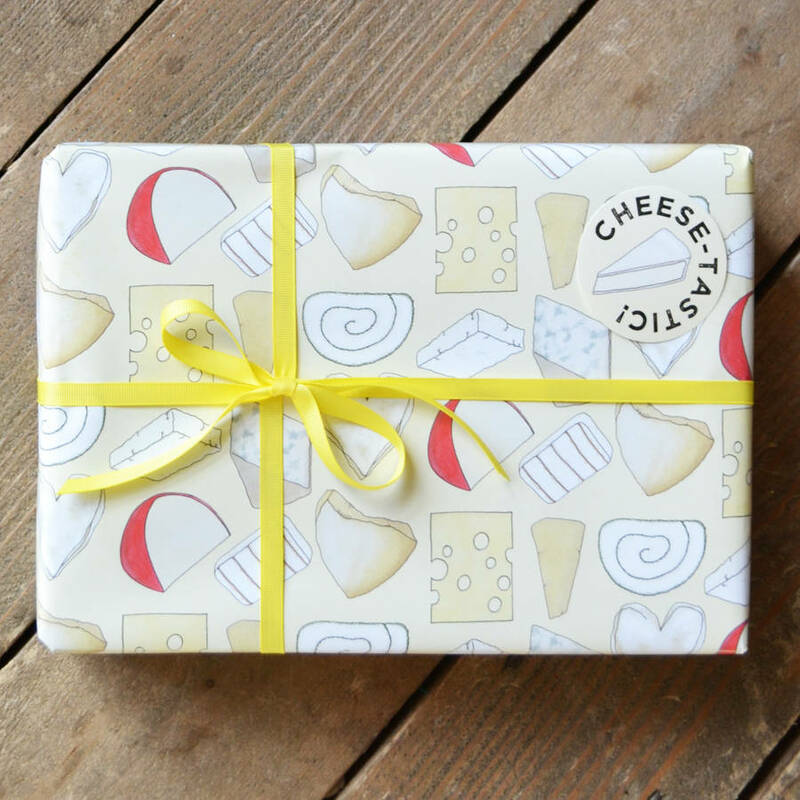 This cheesy wrap kit is the perfect finishing touch to a gift for any cheese-lover. 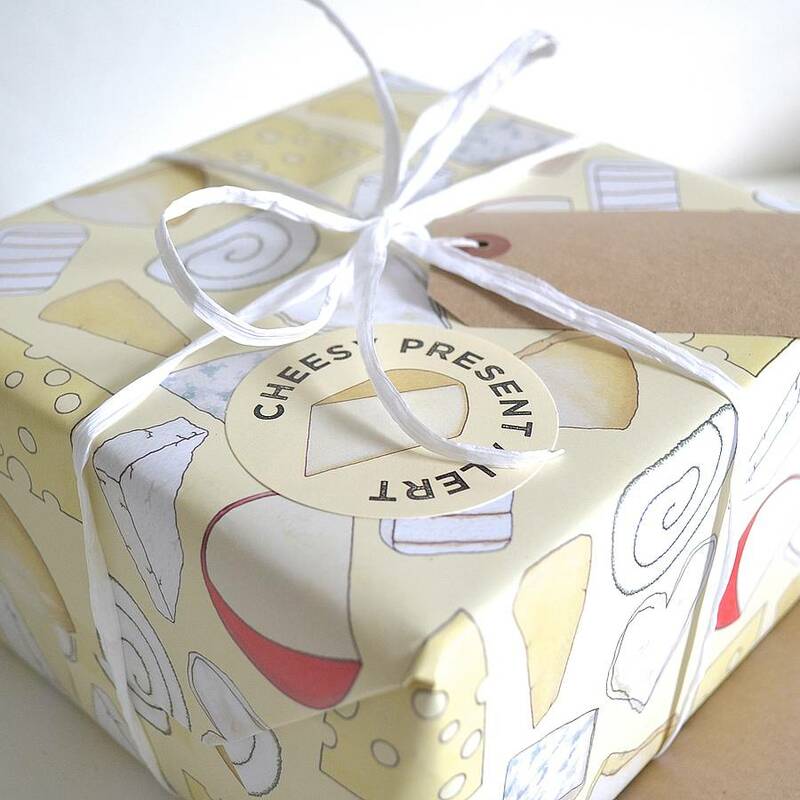 Cheesy wrap is available in a set of two sheets with two matching gift tags, a set of four sheets with four matching gift tags or a set of eight sheets with eight matching gift tags. 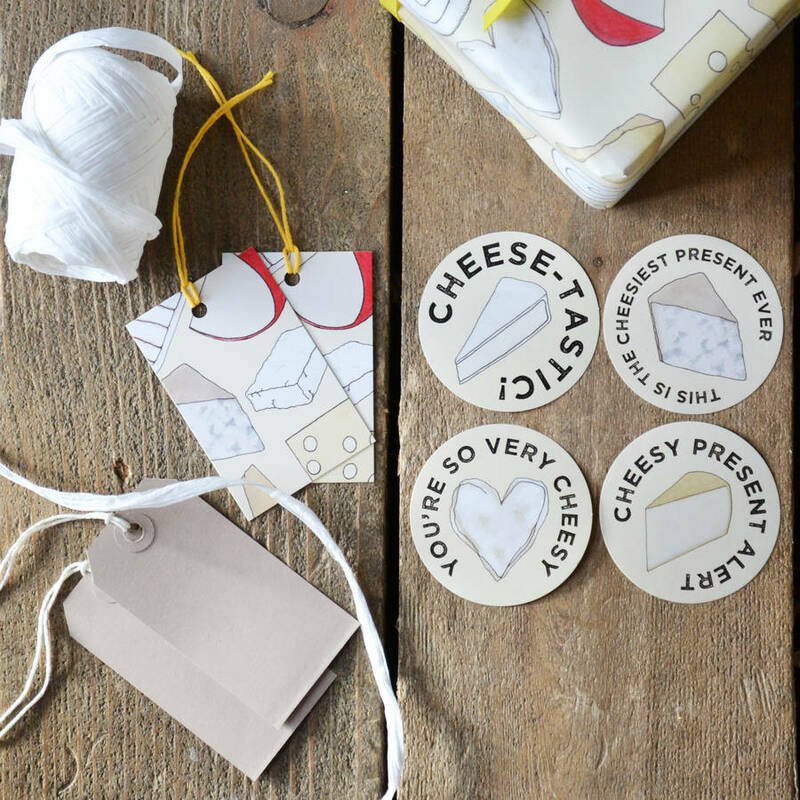 Additional gift tags (matching or plain brown), yellow ribbon, white raffia and cheesy stickers are also available. Wrapping paper is folded and packaged in a cello bag. There is also an option to have it rolled and sent in a tube. 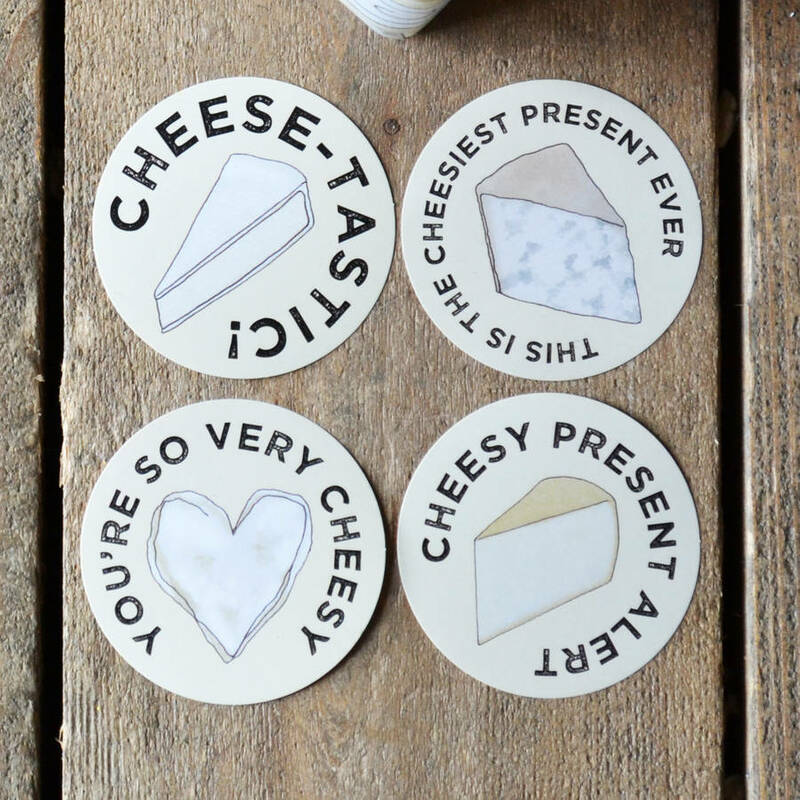 Each of the little cheese images were originally drawn by hand, and coloured with watercolour paint. 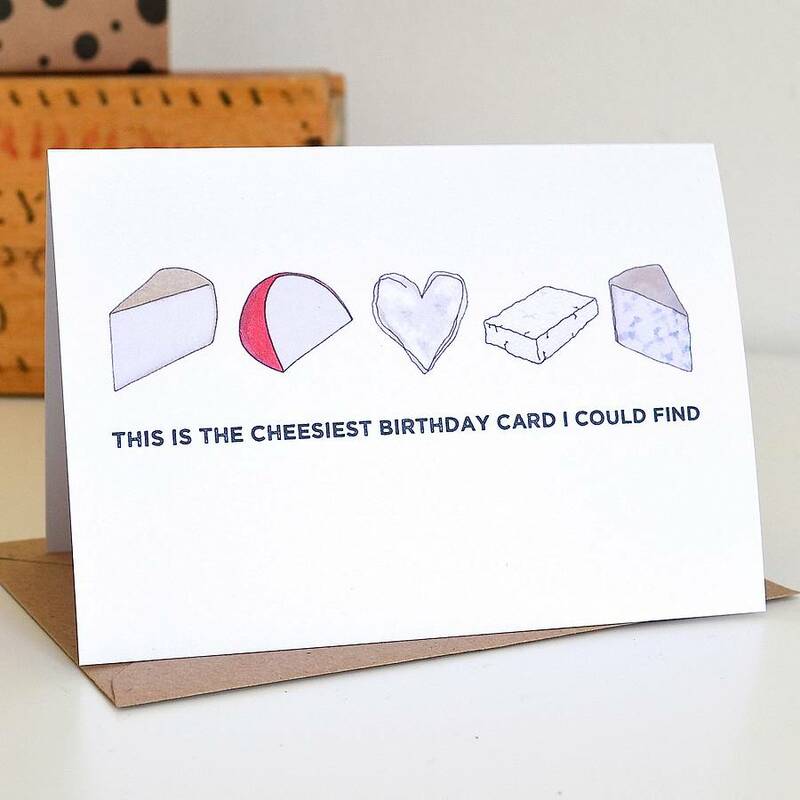 They are taken from my Cheese Alphabet, which is available as a print, a notebook and a mug - all listed separately here. 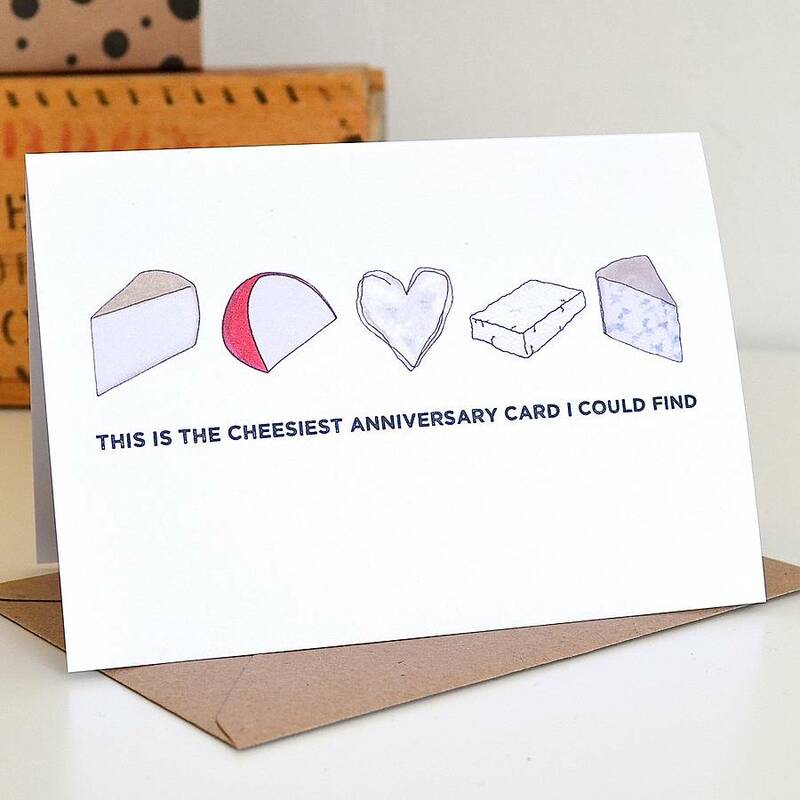 You can also choose a Cheesy Greetings Card to accompany your folded order (Cheesy Birthday, Anniversary or Valentine's Day versions are available). Please note that if you've chosen the rolled option I can't fit a card into the tube as well. 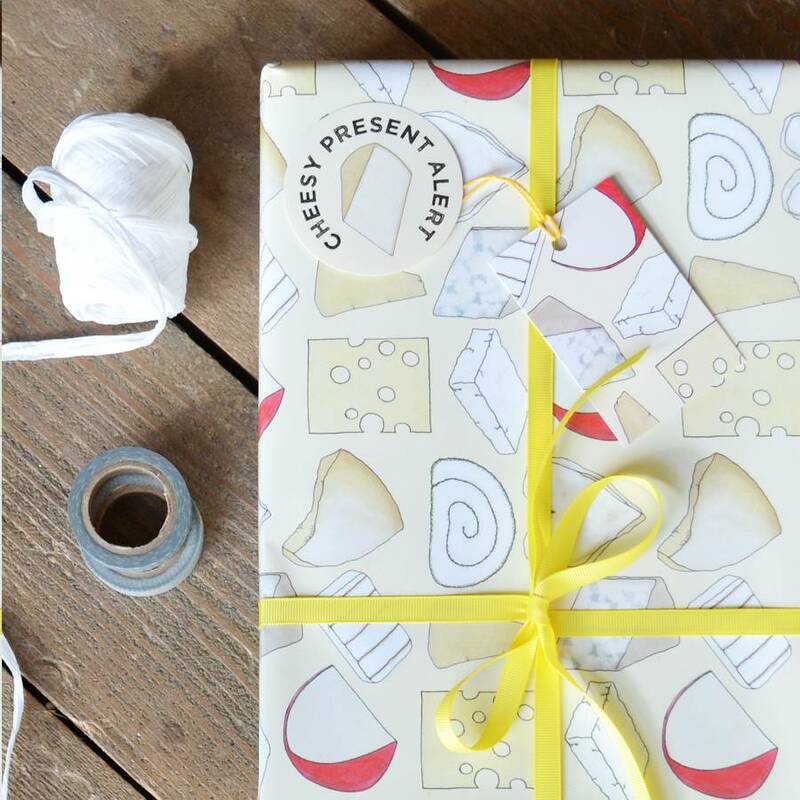 Made from 100gsm matt paper; matching tags are 350gsm matt card and strung with yellow baker's twine. Plain brown tags are 200gsm buff card and strung with a white cotton twine. White raffia is a very high quality paper raffia. Gift wrap sheets measure 50cm x 70cm each, matching tags are 5.5cm x 8.5cm and stickers are 7cm in diameter. Plain tags are 9.5cm x 4.8cm. Ribbon is 0.9cm wide.